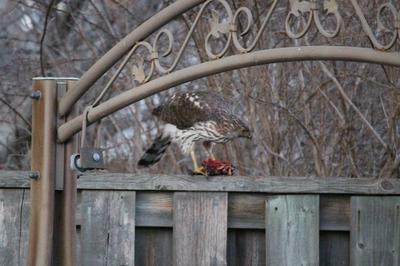 A Cooper's Hawk (we think) was on the fence, eating what we thought was a squirrel. 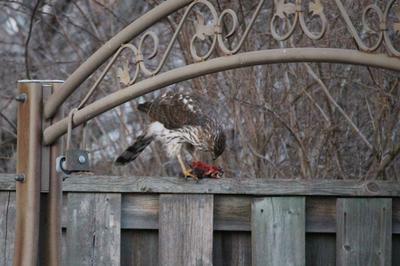 It stayed at least ten minutes, then flew off with its prey. 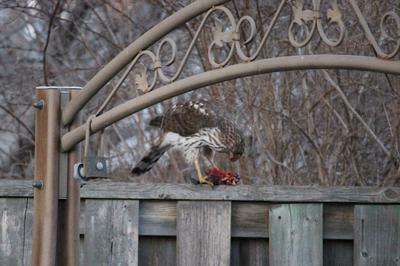 I have a male and female Cooper's Hawk visit my back yard on a regular basis in the winter months. Beautiful birds.